Sivaji's record run + revenue at INOX! Sivaji's rain of records in Mayajaal!! Sivaji�s Top 10 record in SUN TV�s history! Sivaji sets news record in 125 days theatres!! Sivaji's record in Andhra Pradesh!! Sivaji breaks Chandramukhi record of 100 days!! Sivaji's record in US & Canada!! Sivaji�s Top 10 countdown record!! Sivaji's Thundering run & some facts behind it! Sivaji's record in Tenkasi and Kolathur!! Sivaji's record in Tiruchendur & Tiruthani! Sivaji rock steady in Chennai at 9th week!! Sivaji 50 days centres complete list!! Sivaji rocking Pink City - The Screen!! Sivaji's unbeatable record in Coimbatore!! Boss creating new records in Chennai!! Sivaji TN Business & Mayiladuthurai Record! After Titanic & CM, Sivaji creates record in Dubai! Even in its 5th week Sivaji rocks the nation - Today ET! Sivaji to collect Rs.350 Crores!! Business Today! Record being created in Sivakasi!! Doubts regarding Sivaji run in TN and Chennai? Sivaji stuns Pune & record set in Srilanka!! What theatre owners say across India about the Boxoffice! Sivaji to reap 250 crores & some observations!! Sivaji Box-office records & other important stuffs!!! 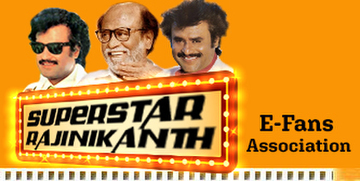 Box office Flash 44: Sivaji's record run + revenue at INOX!! Reason is quite simple: One of the world class state of the art movie screen in India. Inox Multiplex is located in Dr.Radhakrishnan salai in Mylapore, Chennai. Just an easy locator to Inox: Just a straight stretch from Anna Flyover towards Stella Maris in Cathedreal Road, will lead you to INOX. It is just 2 Kms from Gemini Flyover Horse Warrior statue. The multiplex is located top most floor in a commercial complex called Chennai Citi Centre. Chennai Citi Centre is similar to that of Spencer Plaza in Mount Road. The complex contains various outlets of elite people's choice. A branch of Landmark Book shop is too located here. Apart from these, Jewel Shops, Food Courts, Restaurants and various other entertainment extravaganzas is also here. Inox is just 10 months old. It was inaugurated in Jan 2007. Sivaji sat like a diamond in the crown of Inox and Citi Centre and many people who were not aware of existence of such a complex and theatre came to know about this only after Sivaji got released here. Like elsewhere Sivaji created here amazing record which we have presented below. Before that some more details about the multiplex. Inox has four screens with a combined capacity of 900+. The target customers of INOX are elite class people of the society including Business magnets, Police officials, Income tax officials, Cinema and tv artistes, Top distributors, and other top cine personalities. Mostly all would come here with their kids. The complex has ample parking space which is build under basement. The sound effect was a Class 1 effect with superb built DTS Sound system. And the screen was a crystal clear white screen. The seats are of superior cushion with spring effect on backwards. Getting in INOX is similar to that of getting inside an Airbus (Not exaggerating It is true!!). Neatly decorated compact theatre which would look like a small preview theatre. Small lamps on the steps with the floor covered with full mat gave a aesthetic experience. Only negative aspect in INOX is the eatables are very costly compared to other hiclass multplex chain like Satham and Mayajaal. Here the Coffee rate is higher than the ticket rate. (Rs.120/- is ticket rate) So, we all kept away from any eatables and enjoyed watching Mohini and Aamthi during intermission!! Watching any movie itself in Inox would be a cherishable experience. Imagine how Sivaji experience would be? We watched Sivaji here on Second week of its release. The show then was full of family audience with many senior citizens and kids. Actress Mohini (Eeraman Rojavae) and TV actress Aamthi (Selvi fame) were there to watch Sivaji with us. The show generated thunderous response from the audience and we rocked the whole row where we were sitting. While we were there Sivaji was running in two screens. 2) Ever since INOX was inaugurated in Jan 2007, Sivaji created highest revenue to this theatre and also donated hefty amount as a distributors' share. The above comment was when the film touched 100th day mark. Imagine about the balance 4 weeks collectiosn. 4) In INOX Sivaji ran in two parallel screens for 63 days. After that it was reduced to single screen. So, the total days in INOX would be 188 days. 5) As per mandatory, INOX has 10% Rs.10/- seats in all the four screens. Rs.10/- tickets of Sivaji was being sold on each day morning itself for all 4 shows in both two screens. The slum dwellers used to flock to buy these tickets from morning 5 am itself. (Why some where standing from midnight itself for the firs two weeks one of the theatre staff told us). Elite and hi class people who come there to watch Sivaji and couldn't get tickets because of HOUSEFUL board used to get tickets from many of these slum dwellers for a record price. We were told that Rs.10 ticket was sold for more than Rs.100/-. This generated huge income to those poor people.